Corey Tabor AKA “C-Note” has been performing all of his life. He began singing in church at the age of 4 years old and began public speaking at the young age of 12. He participated in acting as a middle school student and went on to become a state semi-finalist in original oratory. While in college at the University of Texas at Austin, Tabor continued his performing career by writing and producing a gospel CD called “Unconditional Praise” with Innervisions Gospel Choir. 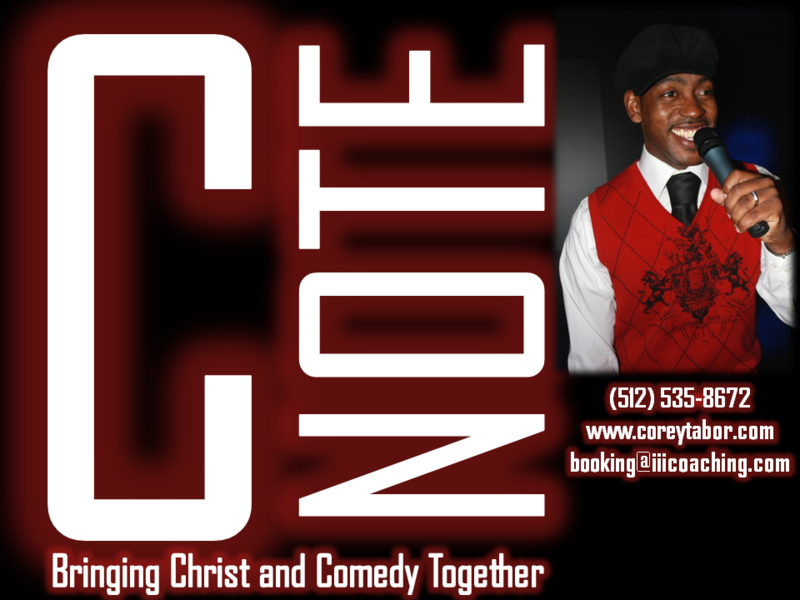 Finally after years of performing as a musician, singer and speaker, C-Note began his comedy career on December 31, 2008. Since then he has produced his first DVD entitled, C-Note presents I Grew in Church where he shares stories from growing up as a preacher’s kid. 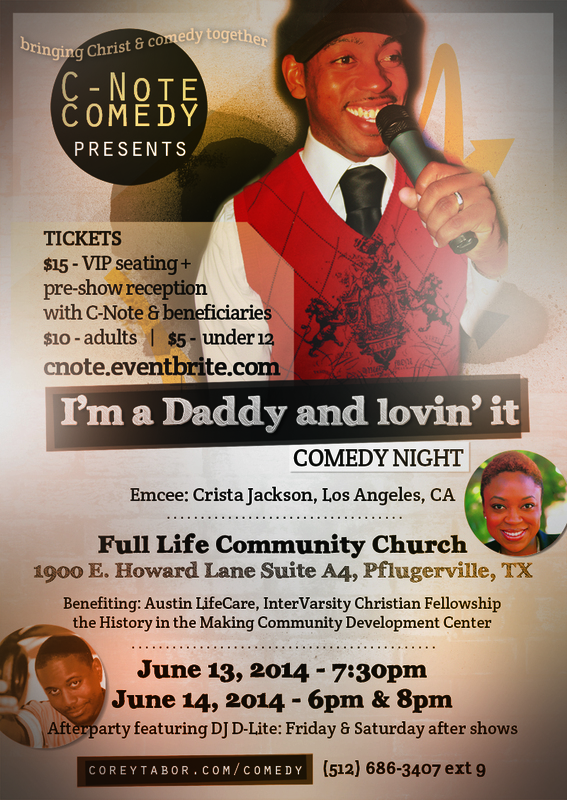 You don’t want to miss an evening with C-Note as he combines comedy and music to inform, instruct and inspire.